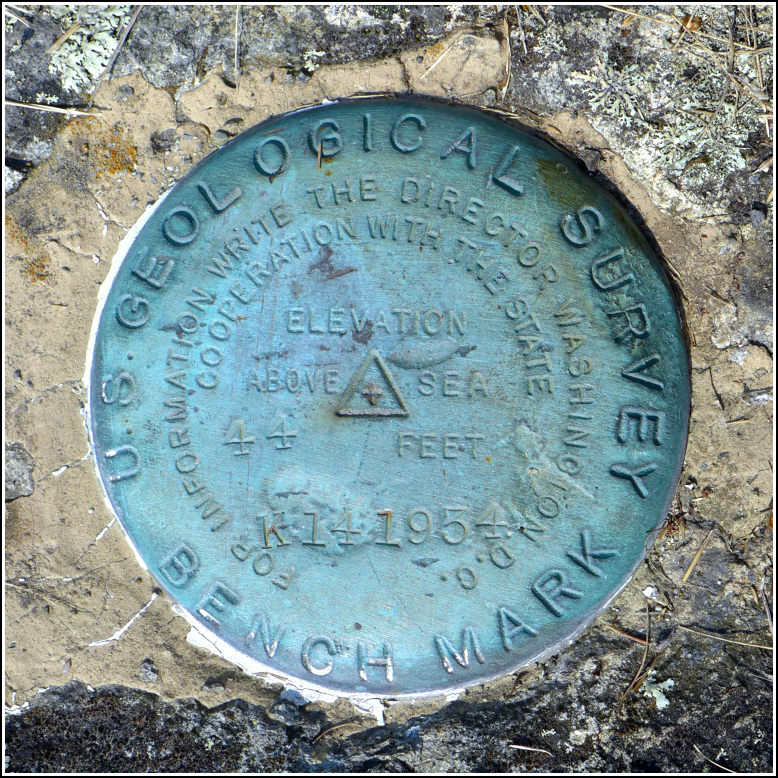 This mark was an old USGS disk designated K 14, one of the "K" series placed around the island, of which we have found many over the past ten years. 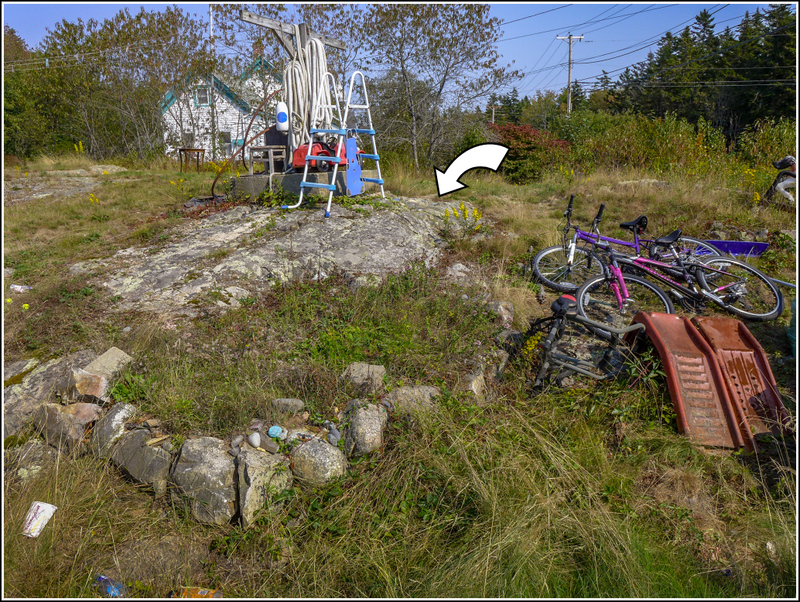 Since the disk was in an outcrop in someone's yard, we planned to get permission before trying to take photographs. This is quite the place, 193 Tremont Road! 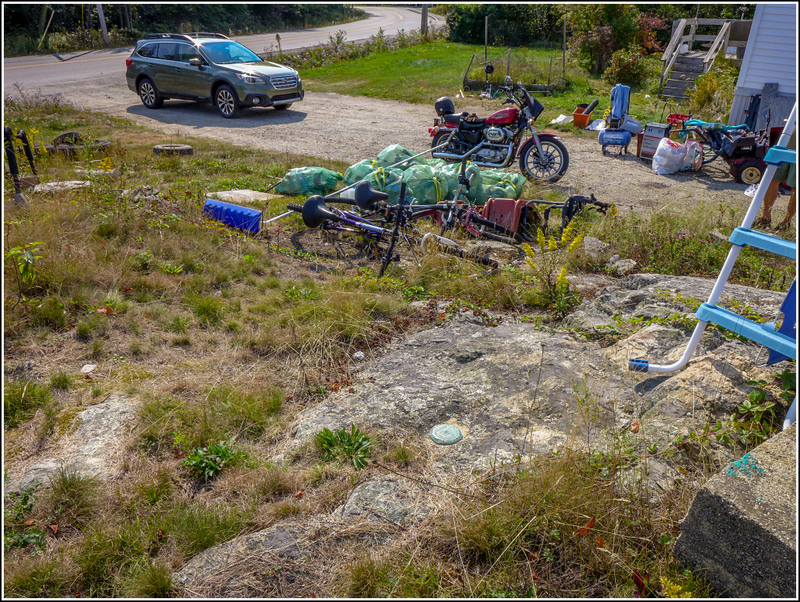 The yard was filled with discarded toys, tools and garden implements. I was a little leery of just who would come to the door when we rang the bell. But the man who eventually emerged (from a shed in the back, not from the house) was very pleasant and accommodating and said he had no problem with us documenting the mark. He knew exactly where and what it was. And he had a very alert guard dog, but at least the dog was indoors as he barked like mad. The disk is in good condition with legible stamping. While the hunt can be more complicated than marks on publicly accessible property like parks, I usually enjoy searching for marks on private property. We've met some really interesting people—some of whom can tell us more about the survey marker than we knew beforehand, and some who know nothing about it, so we have a chance to share what we know with them. Recovered in good condition. The mark is set on an outcrop in the front yard of 193 Tremont Road. The property owner is aware of the mark and will aid in recovery.